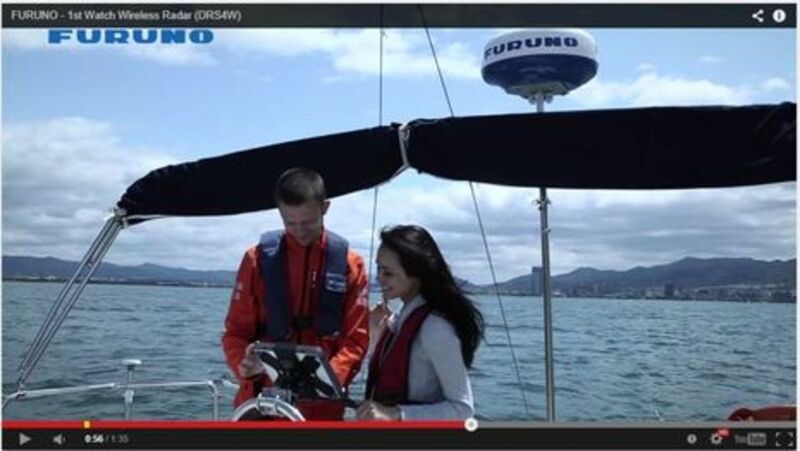 The Panbo commenter "Kaz" also slammed the DRS4W on his Marine Review blog, and I suspect that what really got under his skin was this marketing video showing a young couple happily using Furuno&apos;s standalone Marine Radar iOS app in the open cockpit of their cruising sailboat. There are no normal instrument or chart displays in sight and certainly no reference to the problem of seeing an iPad in bright sunlight. 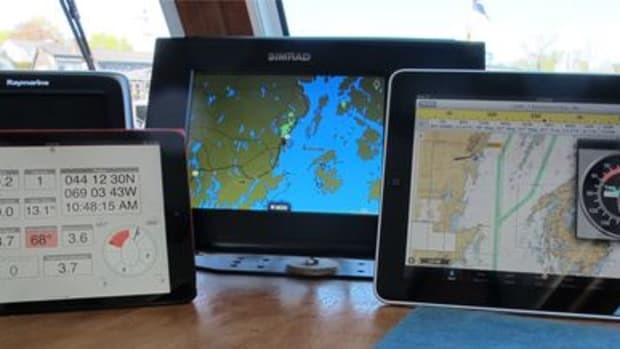 And when the couple are shown ogling the app down below it&apos;s at a settee not an existing nav station where adding standalone radar on an iPad might make sense. The video just doesn&apos;t look much like real boating, and hence doesn&apos;t make the case for how the 1st Watch fits into a full fledged navigation and collision avoidance routine. It&apos;s also easy to question the value of eliminating the data cable when you do have to wire the DRS4W for 12 or 24 volt power. 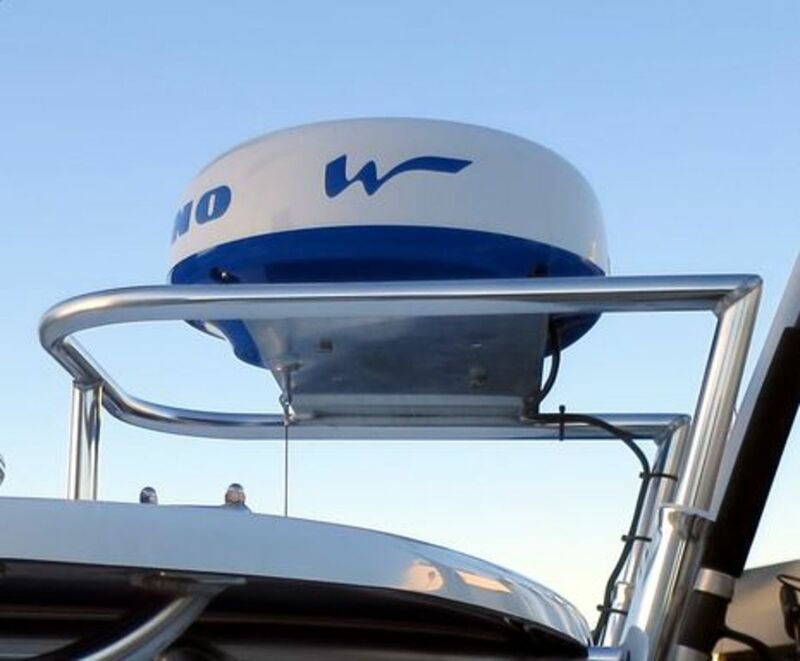 In fact, the Furuno DRS2 I&apos;ve been long testing on Gizmo -- which seems to be a very different radar fit into the same sleek 19-inch diameter casing the WiFi radar uses -- came with a nice combined Ethernet and power cable that was easy to split and connect once I&apos;d fished it down the mast. Seeing WiFi Radar at work underway wasn&apos;t all that impressive either. Note, for instance, the South Florida glare on the iPad (though reflections often seem to look worse in photos than real life). And I was surprised that the app went to sleep if it wasn&apos;t being used, and since the DRS4W smartly goes into standby mode when no connected app is active, it took a while to get it back up again. On the other hand, the new radar does use at least some true color to indicate target density and the interface is as easy as advertised. It&apos;s slick, for instance, to get look ahead and/or offset radar imaging just by dragging the screen around with a finger tip. 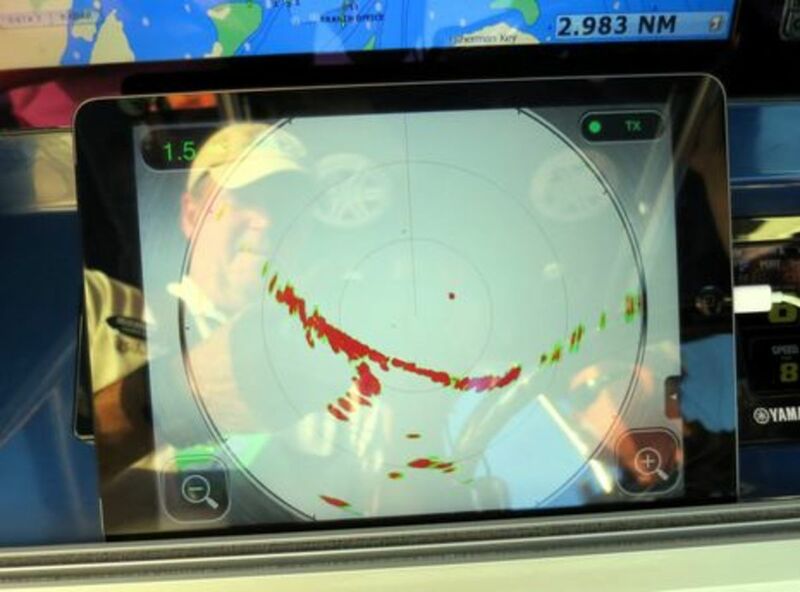 I&apos;m not sure that 1st Mate Wireless is easy radar to understand, though, especially for the younger, less experienced boaters it seems aimed at. 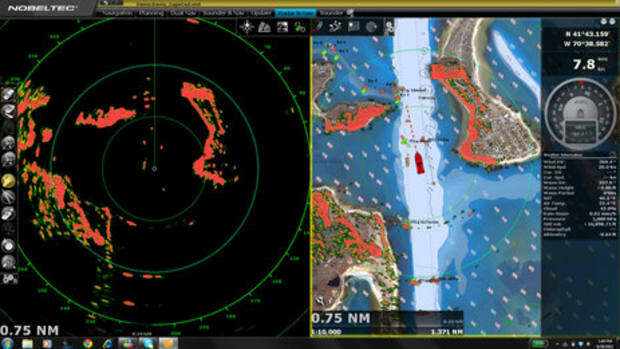 Chart overlay, for example, would help a user understand that much of the long red-hard target above really is the Sanibel Island bridge, appearing curved only because its high center section is further away the radar scanner than the bridge&apos;s low ends. 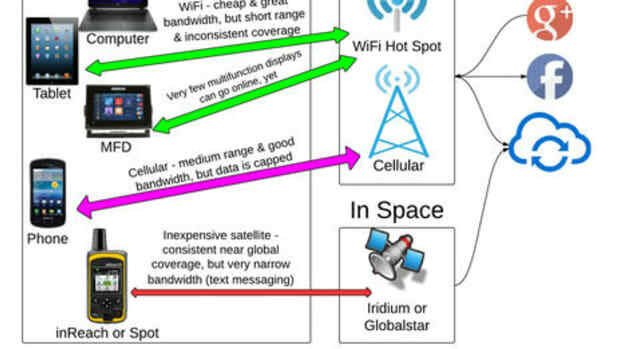 Heck, even an old style standalone radar can usually be set up with a NMEA 0183 connection that let&apos;s radar and chart screens share target and/or waypoint icons to help the user relate the two. But then I got thinking about what&apos;s possible with the DRS4W. 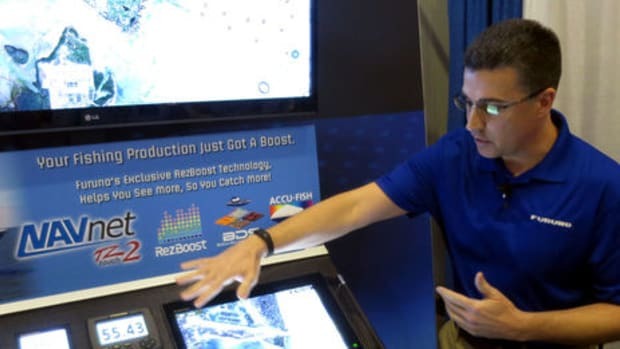 The Furuno guys at NMEA weren&apos;t able to answer a lot of my questions -- they do have a huge line of other products, some of them as opposite and esoteric as Ice Radar -- but they did say that we&apos;ll learn more about what the DRS4W can do at the upcoming Fort Lauderdale Show. 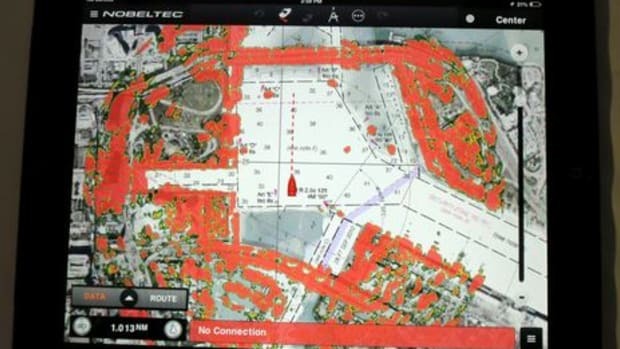 What if the already excellent Nobeltec/MaxSea TimeZero charting app could integrate the 1st Mate? 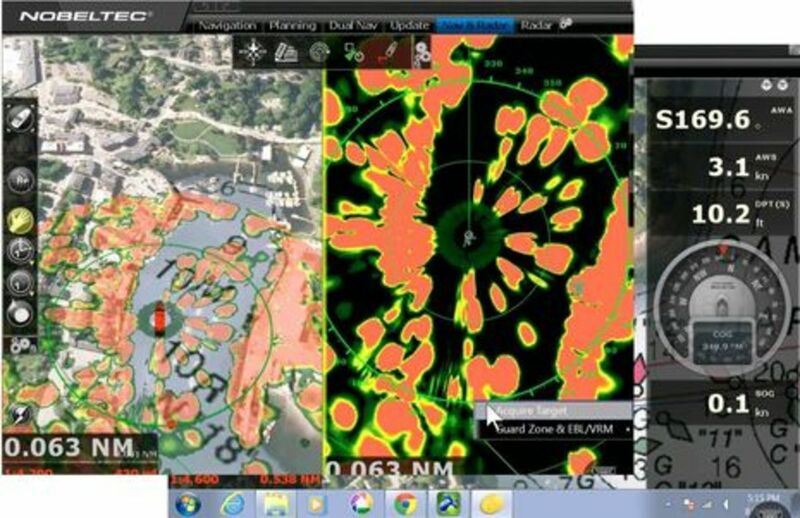 (If a current iPad has the horsepower to overlay radar?) 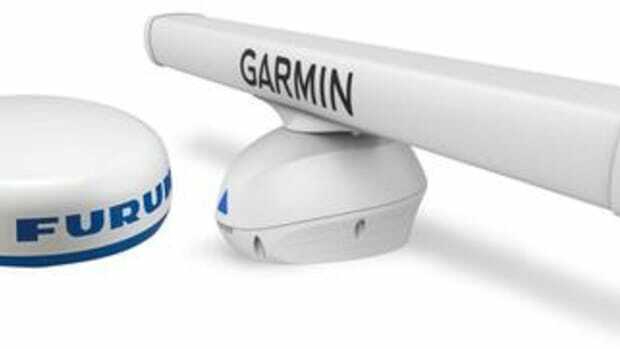 What if the DRS4W could join an existing boat WiFi network, or host one, so that the two supported iPads could also get AIS, GPS, Heading, Depth, Wind, etc. data? (The good folks at Pacific Yacht Systems don&apos;t think that&apos;s possible, but let&apos;s note that the TZT displays remain the only WiFi MFD&apos;s that can easily join a boat network instead of just creating one.) What if the DRS4W includes some of the lookalike DRS2&apos;s remarkable advanced features that just haven&apos;t been activated yet? 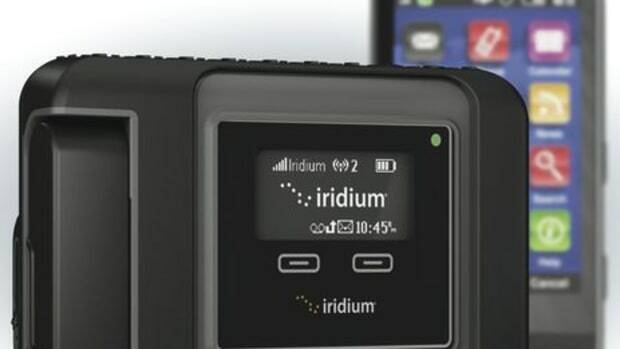 What if Furuno allows other apps developers to work with the DRS4W radar stream, or even just those making specialty apps that wouldn&apos;t compete with TimeZero? What if the next iPad model has a non reflective screen that makes it more useful in sunshine, as rumored? 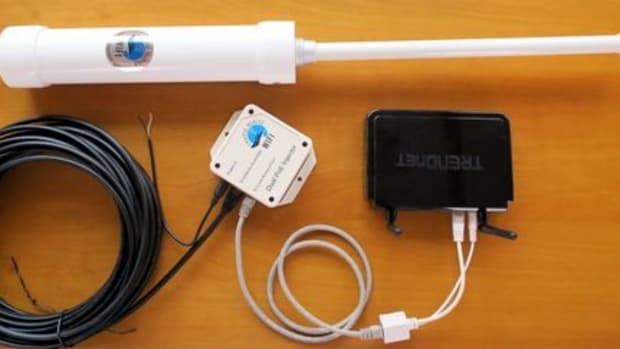 I&apos;m just riffing here, but isn&apos;t possible that a DRS4W combined with a small NMEA 2000 sensor network, a WiFi gateway (like, say, what&apos;s already built into the Vesper XB8000 AIS transponder) and a couple of iPads could be a pretty elegant and economical navigation system, no MFD involved? I can even picture the results, though what you&apos;re seeing below involves a remote desktop app and a whole lot of expensive and power-hungry hardware. What do you think? 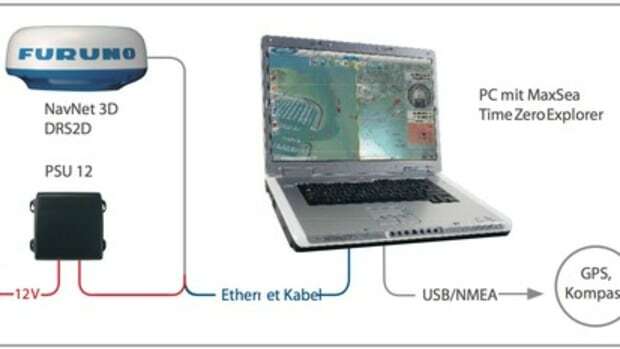 Is Furuno&apos;s WiFi Radar an interesting niche product or a major leap into the future?